The Chi Spa within the Shangri-La hotel brand is an experience to never be missed. The Chi Spa offers luxurious spa treatments inspired by the ancient legend of Shangri-La. It pairs modern practice treatments with tradition Asian wellness elements. 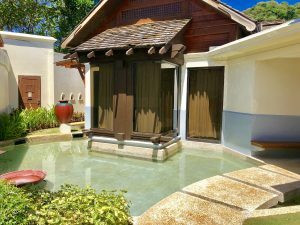 Having enjoyed several of the Chi Spas around the world, the spa within Shangri-La Boracay was certainly among my favourite. 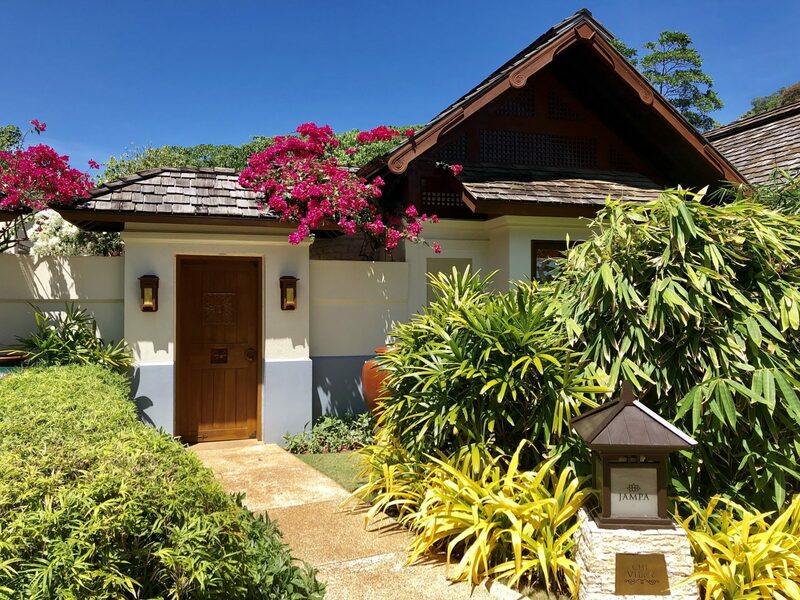 Set within a lush tropical garden in the heart of the resort, Chi Spa is surrounded by an abundance of nature. 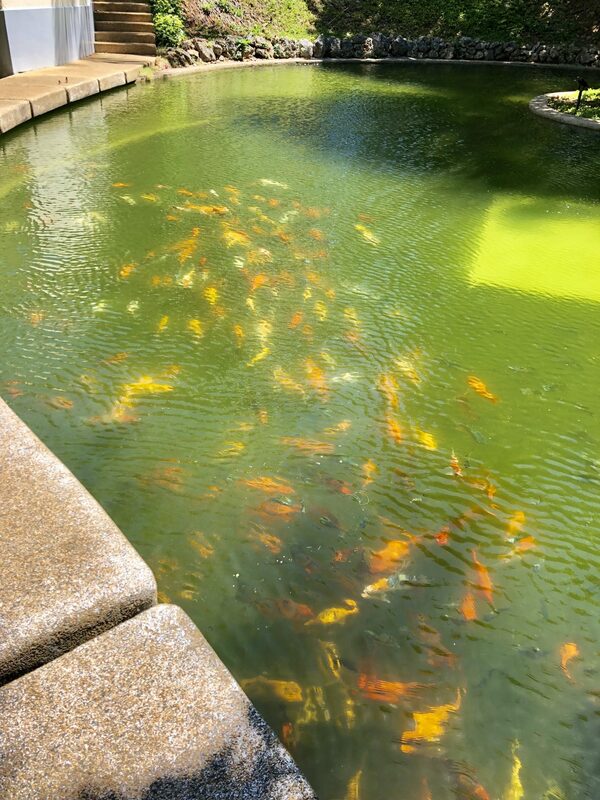 Upon arrival, you walk a pathway across a green pond full of Koi fish feeling as if you are entering your own private oasis. Once inside, the wonderful staff greet you with a warm tea and an orientation of the beautiful spa facility. 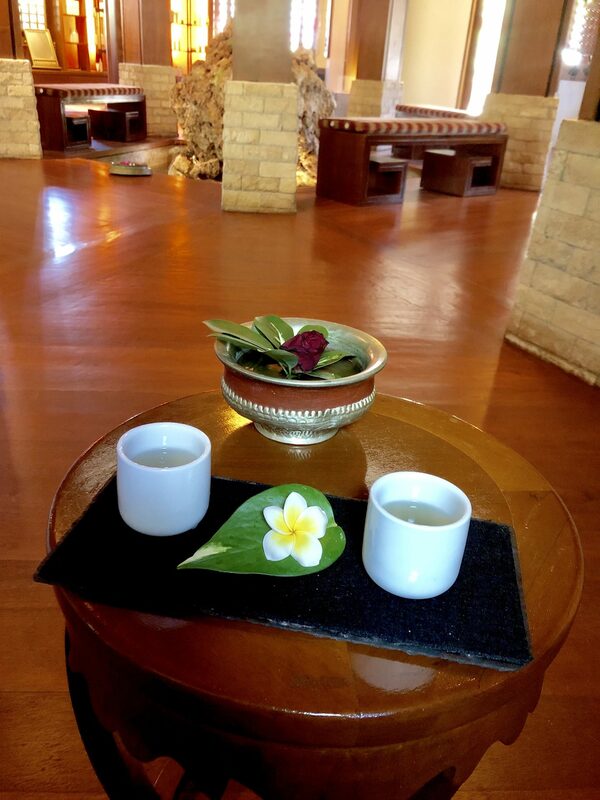 Chi spa is definitely a sanctuary within the resort. Once entered into the main area, you are lead into the common garden area featuring a pool, loungers and a hot tub. 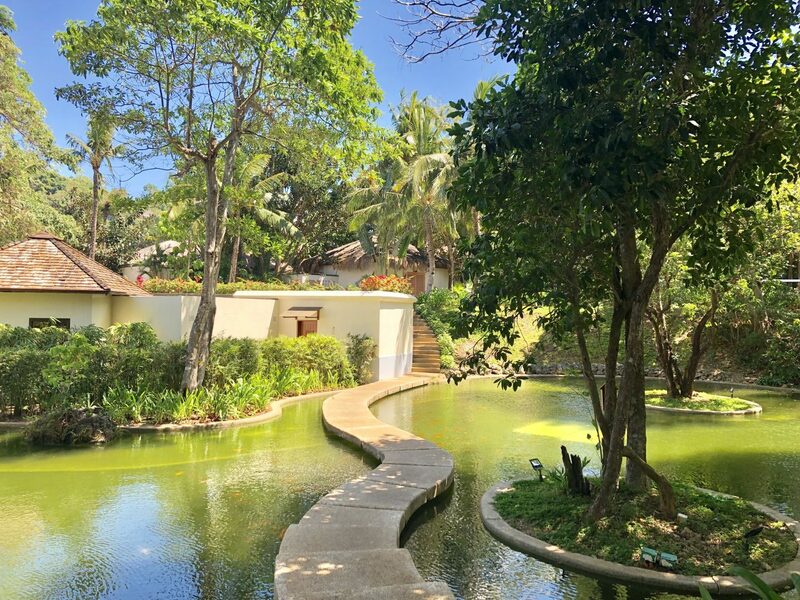 The area is surrounded by lush greenery and beautiful florals making it the perfect place to relax and unwind. Found along the perimeter of the common area are the individual spa villas. The spa villas come with a change room, restroom and the treatment area. The treatment room is very spacious with areas to relax before and after your massage. From the rooms you are able to hear the peaceful sounds of nature from the outside making for the most tranquil setting. Treatment options at the Chi Spa range from body scrubs to anti-aging facials to even nourishing hair treatments. The variety of treatments allow you to customize your experience for a full wellness journey. Since I was visiting the Philippines, I opted for the signature Filipino Hilot massage. The Hilot massage is an ancient form of Filipino healing. Heated banana leaves are used during the massage to detect areas with imbalance or negative energy. Coconut oil is used in conjunction with the banana leaves while they are applied. The coconut oil helps to sooth the skin surface and acts as a suction to relieve tension as the leaves are massaged onto skin. Being well experienced in the Hilot treatment, my therapist became perfectly in tune with body and areas of concern. She was able to apply treatment to tension throughout my neck, shoulders and back and left me feeling completely rejuvenated at the end of the session. 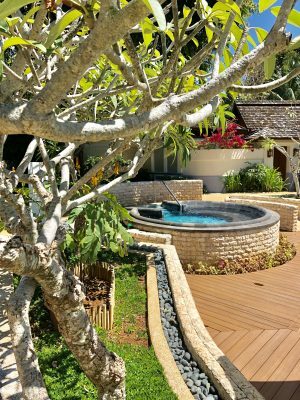 Being my first time experiencing the Hilot massage, I was certainly blown away by the unique spa experience. 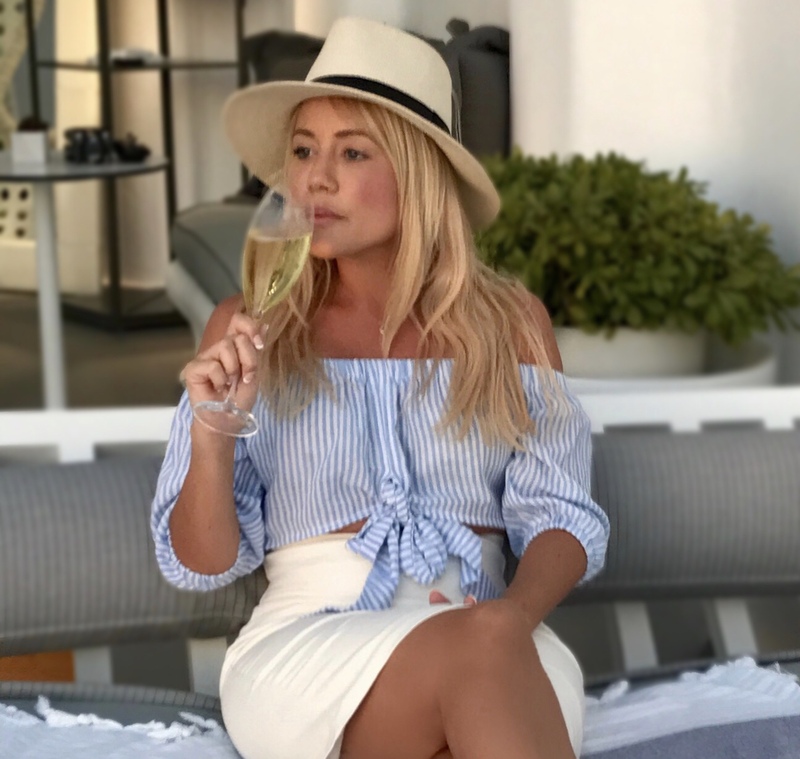 Following the massage I was encouraged to stay to enjoy the facilities and lounge in their outdoor oasis. I was fortunate to have brought my swimsuit along so I made sure to enjoy the spa grounds. Being the only one there with my husband was an added benefit. 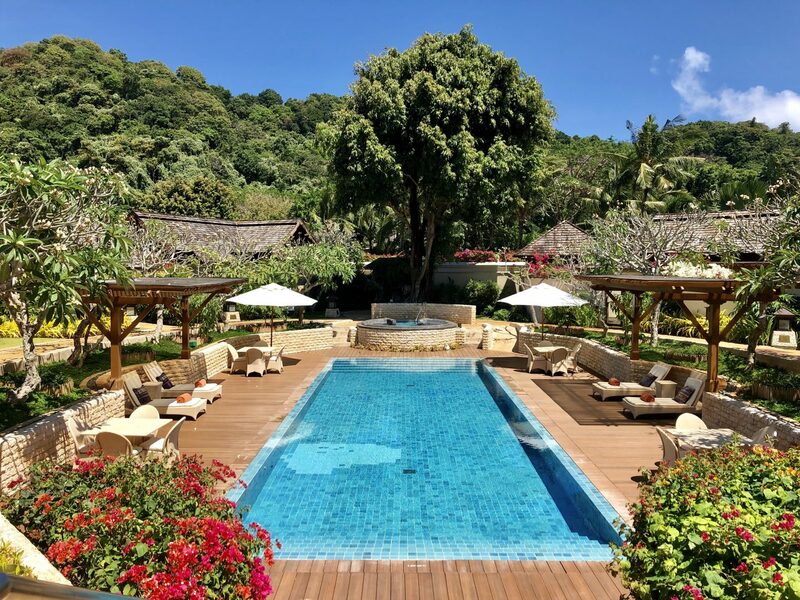 Feeling the afterglow from my Hilot Massage, I was certainly in a state of tranquility as I lounged next to the pool. It was a nice final touch to be able to enjoy the lush surroundings with nothing but the sounds of nature after my incredible massage. Enjoying the facilities afterwards certainly put the icing on the cake for an incredible spa experience. Whether you are staying with the Shangri-La or not, the Chi Spa caters to all guests. 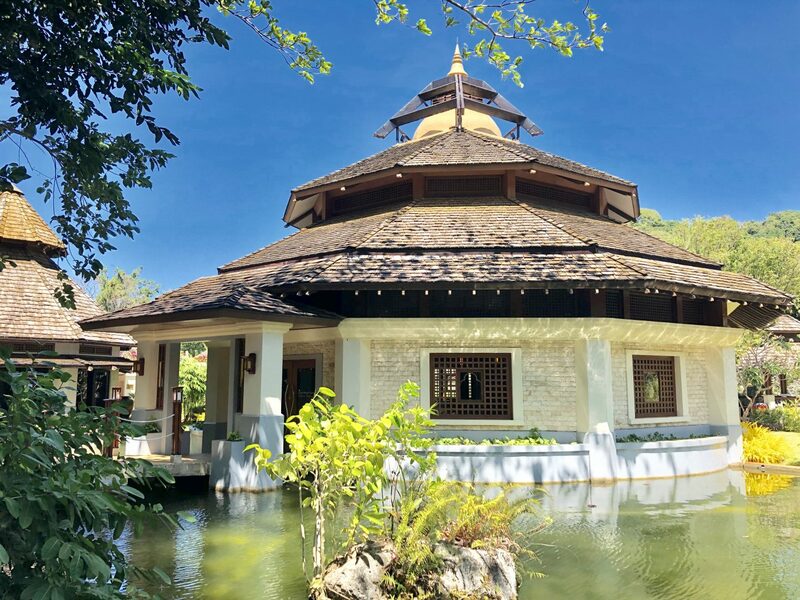 If you are visiting Boracay and simply wish to enjoy a luxurious day of pampering at the spa, I highly recommend a visit to the Shangri-La for their wonderful Chi Spa. The Hilot massage sounds wonderful. Great posy!